The lack of visibility is a leading factor of many road accidents. Driving at night time can be trickier than juggling chain saws sometimes. Besides making sure that the particular rules of the Texas state are followed, the following lines are going to be about some tips that you can use that will put you in a better position of minimizing the chances of meeting with a car accident at night. Give yourself more time to react to obstacles by driving slowly. Speed limits are there for a reason, a limit, means that you cannot exceed that speed, it does not mean you have to drive only at that speed or feel pressured to drive over that speed limit. Remember that it is always easier for a person to stop their vehicle while traveling at a lower speed. Driving at a slow speed allows a person to evaluate any obstacles that might be in their way and gives them more time to safely maneuver around threatening driving patterns of the car near or in front of you. The risk of car accidents increases as visibility is reduced. Depth perception, peripheral vision and the ability to distinguish color, all get worse in low-light, so, have regular eye and wear glasses if you have to. Do you get dazzled with bright lights? Well, don’t be. Bright lights can seriously disrupt your concentration while driving at night. It's very easy for people to become distracted and stare into bright headlights of a vehicle headed your way without even realizing it. Yes, Really! Vitamin A improves night vision. But you should ask your doctor before taking doses of this supplement. If you are getting enough green leafy vegetables, and you are taking a daily multivitamin, you should be fine. 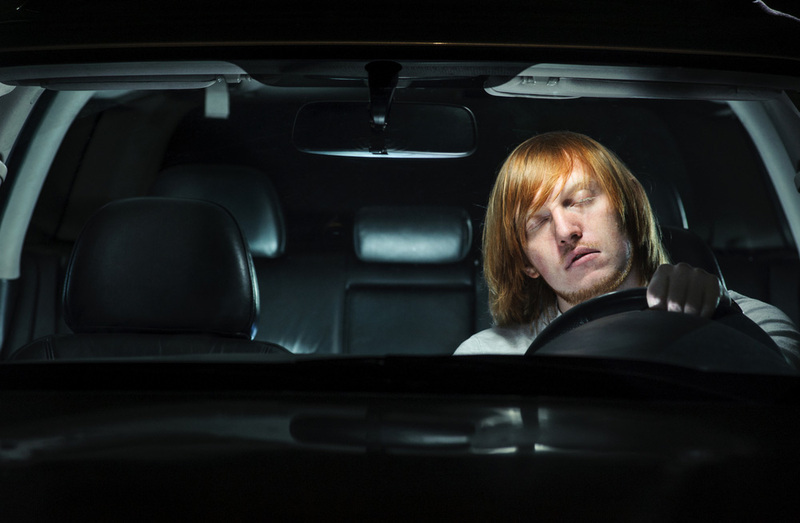 Not getting enough rest will definitely impair your driving skills. Try to avoid fatigue because it can have a profound affect on the way your drive your car and your reaction time. Use the main beam, but when other drivers are approaching, dip your lights to avoid dazzling the on-coming traffic. When headlights from other cars hit the streaks, the glare that is produced makes it hard for the driver to see. To avoid this, keep your windshield and mirrors clean at all times, and especially when driving after dark. Don’t Trust Your Teen: Get it in writing! Insurance companies suggest that parents and the budding driver should create a written agreement which outlines the rules and regulations surrounding the operation of any motor vehicle. This should be done before a teen receives their driver’s license. A simple driving course will teach you the set of rules, concepts and strategies that will help you prevent the risks of road accidents when driving. If you are looking for various ways and tips with which you could improve you’re driving in the dark skills, then you should probably go for the Six-Hour driving written test online course, which is provided by 6hourdrivingcoursetexas.com.